The Zoo Technology A.A.S. 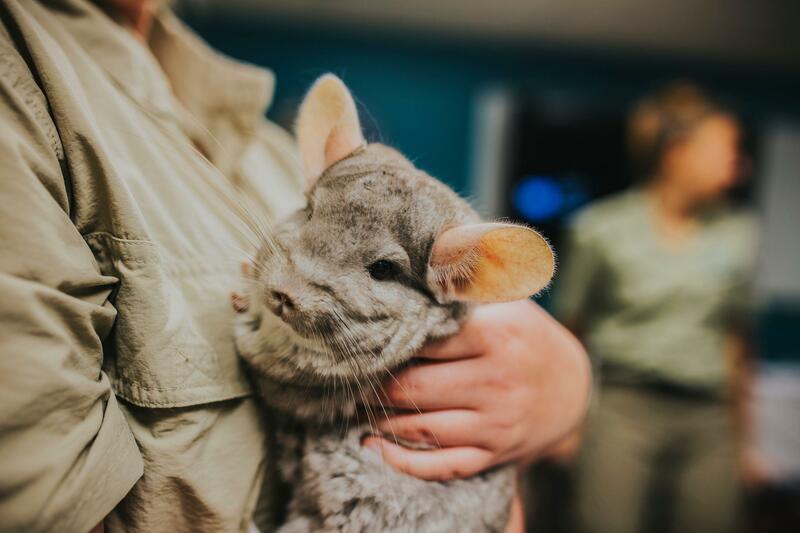 degree will provide you with the basic skills, experiences and knowledge required for a career as a progressive zookeeper or zoo educator in modern zoos. 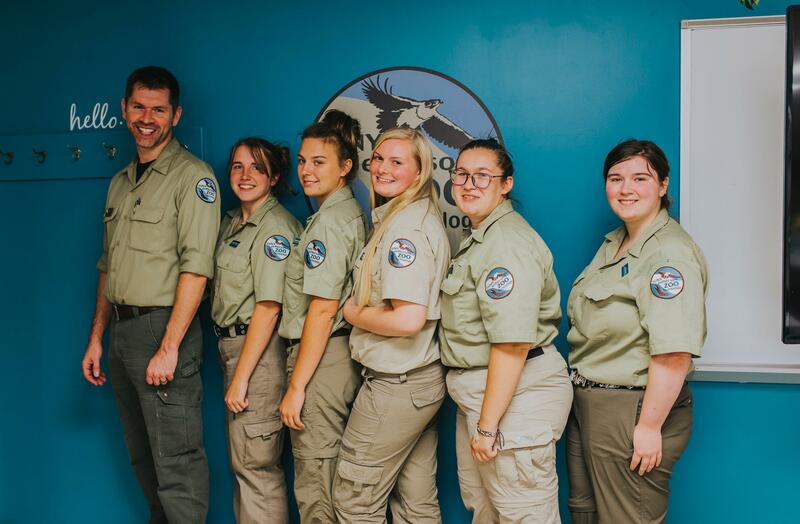 The program is a specialized, practical, cost-effective, foot-in-the-door to the zoo field, whether you already have a degree or this is your first time to college. Students are prepared for an entry-level keeper position through a combination of classroom studies and rare hands-on experience at our partner facilities. 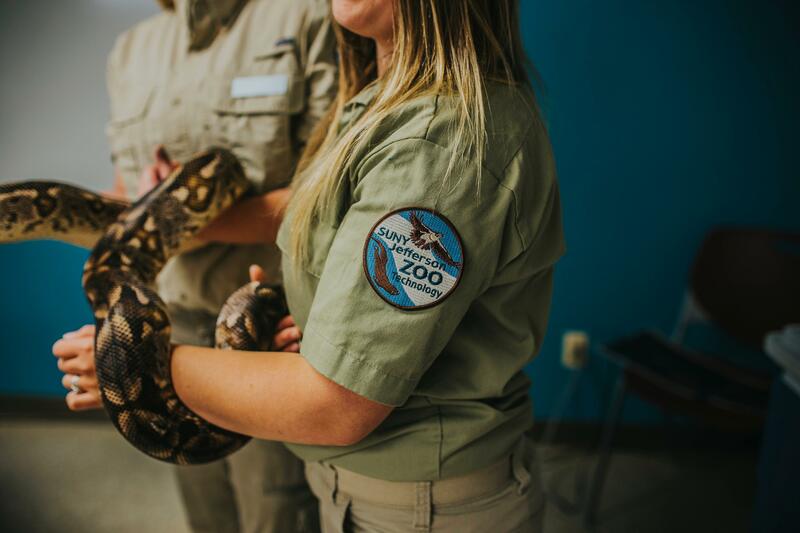 Students will have the opportunity to work alongside zookeepers, veterinarians, curators, educators and administrators. 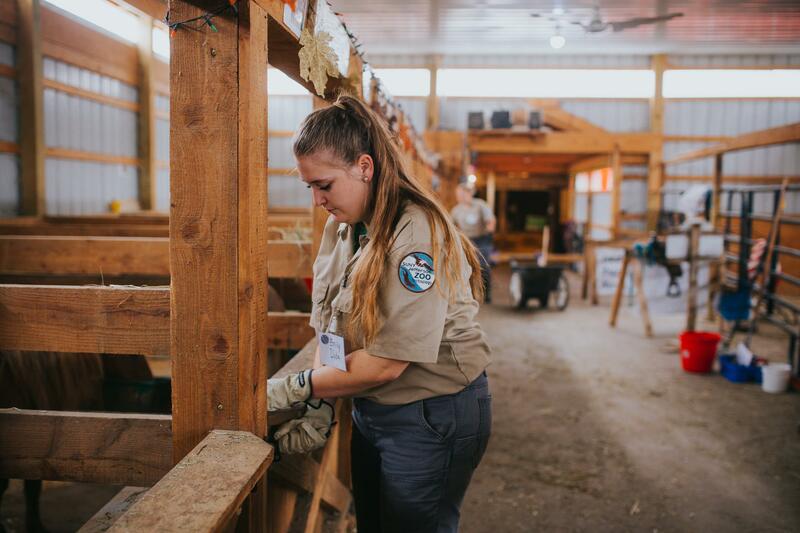 Coursework focuses on zoo animal care and management, but the management of domestic species is also used to illustrate the fundamental principles of animal husbandry and to provide additional hands-on experience. Zookeepers need technical expertise and a knowledge of science to provide the best animal care, educate the public and participate in regional, national and international cooperative programs. As populations of endangered species dwindle, the role of zoo and aquarium keepers will become more important. 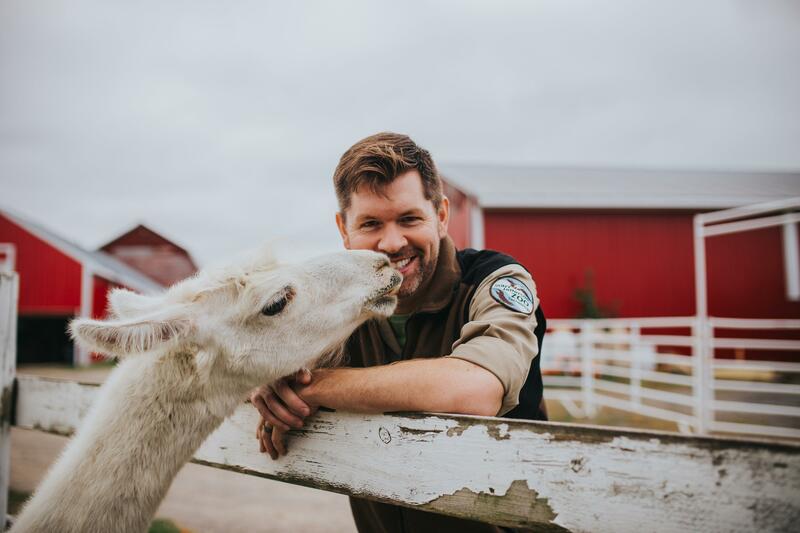 A working, practical knowledge of animal care, welfare & husbandry, an appreciation of the issues facing endangered species and the environment, an understanding of biological principles, the ability to interact with the public, and a broad perspective of the larger zoo community are all essential. Clean animal areas, provide essentials such as feed and water to animals, and monitor the behavior of animals. Provide the animals with enrichment activities to support physical and psychological health. Must be alert to behavioral changes that could indicate illness or injury, assist in veterinary procedures or research studies, and give interpretive presentations to the public. Must be able to do work that is physically demanding in all types of weather. Most full-time keepers work about forty hours per week, some work fifty hours per week or more, including weekends and holidays. 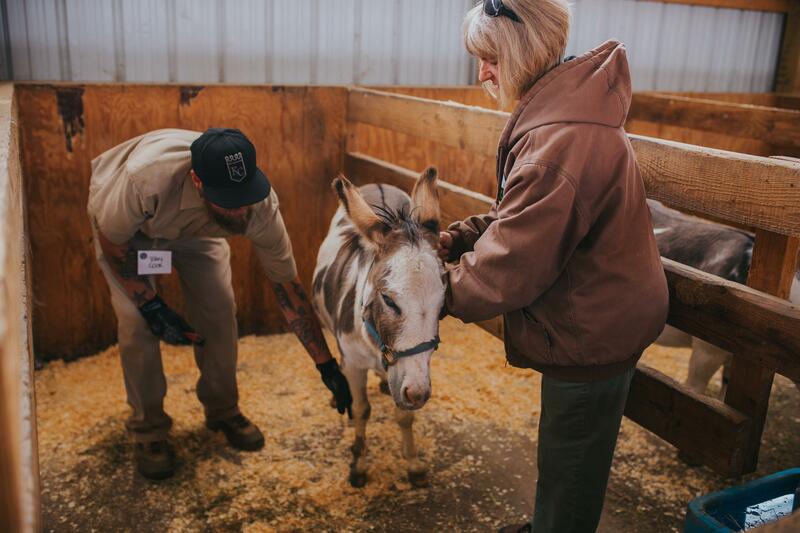 It takes a special kind of dedication to care for animals. 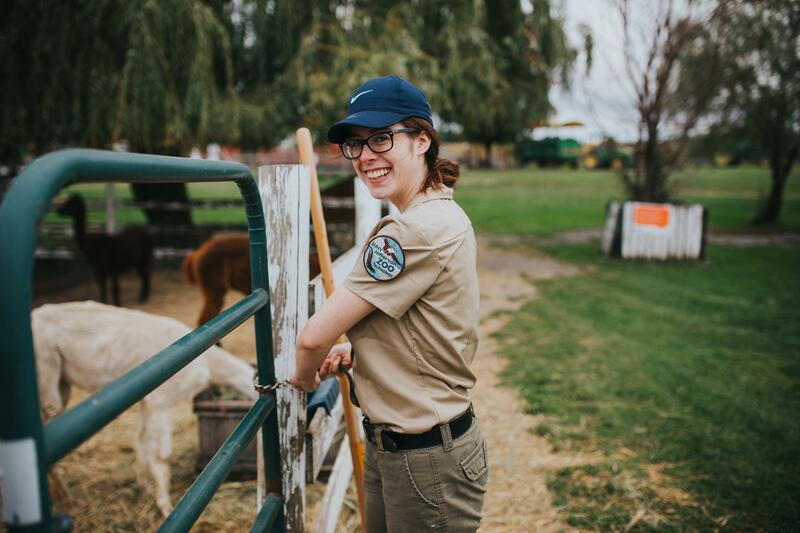 Zookeeping is not a highly paid positions and salaries for zoo and aquarium employees will vary depending on the institution and its location. Institutions located in metropolitan areas generally offer higher salaries. A zookeeper’s salary will depend on skills and tenure. Jefferson's Zoo Technology A.A.S. degree program will provide you with the foundational background for an entry-level position in zoo animal care and management. Competition for employment is fierce, but job applicants with educational credentials coupled with hands-on experience and skill will enjoy enhanced employment opportunities, particularly if they are willing to explore job opportunities throughout the country. This degree can also serve as a practical compliment to a previously earned degree or as a stepping stone for further study in bachelor's degree programs in biology. This program does not prepare students to be veterinary technicians. The Zoo Technology program is not designed to be a transfer program, although many graduates do continue their studies. Further education can help in a competitive job market and with advancement within the hierarchy of a zoo. The most popular transfer schools for Zoo Technology graduates are SUNY Canton (Veterinary Technology) and SUNY School of Environmental Science and Forestry (ESF) for biology-related coursework. Transfer to bachelor's programs such as biology should be planned carefully. The Zoo Technology program is very full and provides little opportunity for you to take preparatory coursework such as chemistry, physics, etc. You may opt take an extra year to take science and general education coursework that is not provided in the Zoo Technology program. 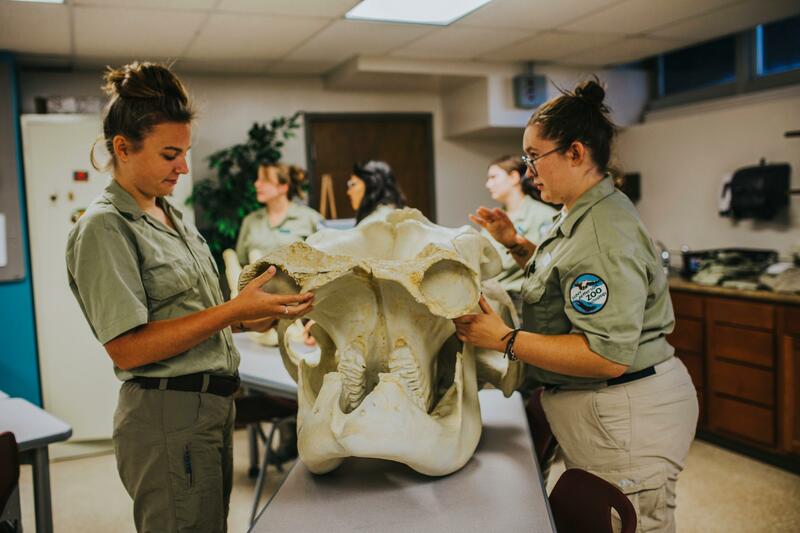 The Zoo Technology Program is composed of three types of courses: general education courses, specialized biology courses, and zoo technology courses. Specialized biology and zoo technology courses may or may not transfer to other programs. General coursework includes general biology, math, English, micro-computers, public speaking, and social science typically transfer. Degrees in veterinary medicine (including veterinary technician) require a different/additional academic path. A general math/science degree is usually a more direct route to prepare you for transfer. 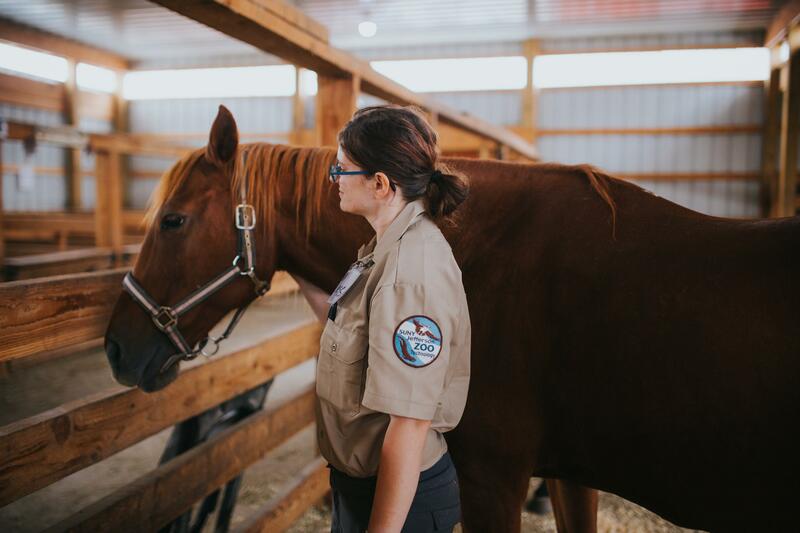 You may opt to complete the Zoo Technology degree before or after you complete a degree in veterinary technology to better prepare you for working in a zoo's hospital. If you are planning to enter the Zoo Technology program you should have strong written and analytical skills. High school preparation should include three or more years of math and English and you may require skill building before entering the program. There is a two-step process to apply to the Zoo Technology Program. Apply to Jefferson Community College through the general admission process. Applicants must meet the admission standards established by the College. Apply to the Zoo Technology Program at Jefferson by submitting a Zoo Technology application. Specific instructions are available on the application form. Applications are reviewed competitively based on academic preparation, experience and motivation. Students may apply or re-apply at any time. Successful applicants will need to begin the core program courses in Fall semester. If you already have taken college-level coursework, it is possible that some of these types of courses may transfer into Jefferson. As part of the application process, you will be asked to send academic transcripts that will be assessed by our College to determine if transfer credit can be granted. Complete the Jefferson Community College application for admission and the Zoo Technology supplemental application. Be accepted to the College and submit all necessary paperwork. Have College Placement Test (CPT) placement at the MTH 098 level or higher or have successfully completed MTH 090 prior to the first semester of Zoo Technology. Have CPT placement at the ENG 100 level or higher or have successfully completed ENG 099 prior to the first semester of Zoo Technology. Have completed all prerequisites prior to start of the Zoo Technology program. Zoo Technology and biology courses are sequential in nature and build upon previous courses. Additionally, they are only offered once a year. For this reason, students must begin the sequence of ZOO courses in the fall. 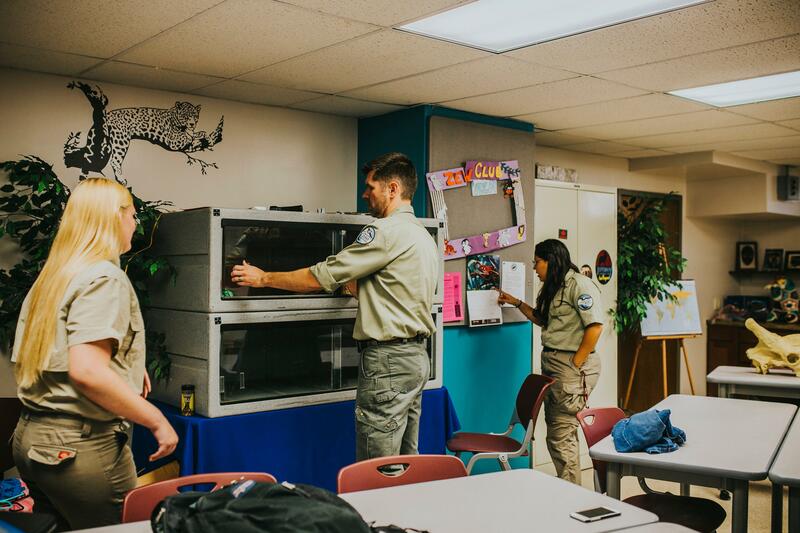 Students not meeting the academic requirements for admission to the Zoo Technology program (requiring skill building in English, math or science) will need to complete additional coursework and reapply to the program the following year. Students’ academic program requirements include a grade of “C” or higher in the applied zoo animal management courses (ZOO 114, ZOO 116, ZOO 126, ZOO 216 and ZOO 226), and the initial, general college-level biology course (equivalent to BIO 111 or higher). Students not meeting this requirement will be considered unsuccessful, will be unable to progress in the Zoo Technology curriculum, and will need to reapply to the program for the following academic year. You must apply for readmission to the Zoo Technology program by submitting a Zoo Technology program supplemental application. Students may apply or re-apply at any time. Successful applicants will need to begin the core program courses in Fall semester. If you have been unsuccessful in the Zoo Technology program, you may be readmitted only once. If you seek readmission to the Zoo Technology program you must meet program requirements in effect at the date of re-entry. Readmission is subject to approval of the zoo technology faculty. Except for the circumstances specified above, zoo technology students are governed by general College regulations regarding academic standing. Degree requirements for Zoo Technology A.A.S. 3Chosen from the following Biology courses with the assistance of an advisor: BIO 111, BIO 112, BIO 1311, BIO 132. BIO 112 is the preferred choice. 4Recommend PSY 133 Introduction to Psychology; PSY 133 will transfer to Canton Veterinary Technician Program.